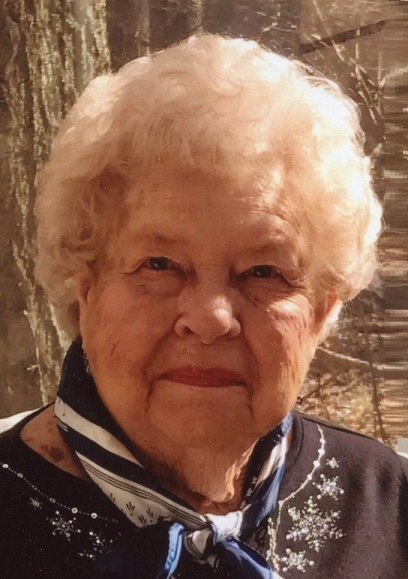 Frances Mary Victoria Conley, 89, of Harbert passed away Monday, September 17, 2018 at Masonic Pathways, Alma, MI. Funeral services will be held 11 am Friday, September 21, 2018 at Harbert Community Church, 6444 Harbert Road, Harbert, MI with Reverend Jay Fast officiating. Friends may meet with the family from 6 - 8 PM, Thursday, September 20, 2018 at the Boyd Chapel of Pike Funeral and Cremation Services, 9191 Red Arrow Highway, Bridgman. Burial will be in Riverside Cemetery, Three Oaks. Memorial contributions may be made to Masonic Pathways, 1200 Wright Avenue, Alma, MI 48801 or Harbert Community Church, PO Box 197, Harbert, MI 49115. Online condolences accepted at www.PikeFH.com. Frances was born Thursday, June 13, 1929 in LaPorte, Indiana the daughter of the late Alfred and Vendela (Johnson) Johnson. On May 21, 1955 she married Robert Leo Conley and he preceded her in death on July 15, 1997. She was a faithful member of Harbert Community Church. Fran loved her family and enjoyed every reason to celebrate them. Survivors include a son: Robert (JoNeil) Conley; three daughters: Candice Conley, Suzanne (Ken) Kohs and Diane (Cameron) Innes; seven grandchildren: Adam Conley, Scott (Kate) Kohs, Lance Kohs, Paige Kohs, Carl Innes, Kyle Innes, Leslie (Garry) Lynn; and two great grandsons: Aiden Conley and Charles Kohs. Frances was also preceded in death by a brother, Kenneth Johnson.